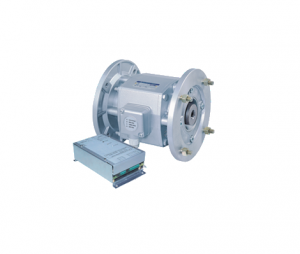 NFF electromagnetic clutch-brake units assembled in a completely closed casing are used to quickly and precisely operate those machines which require frequent engagement and braking. Compact and easy to install, these units are completely closed (IP54 protection) and do not need any maintenance or adjustment of the magnetic gap thanks to the special system for taking up any backlash caused by wear and tear. 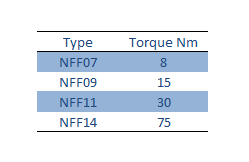 The NFF unit is a special electromechanical device that allows the electronic control of the coupling between input and output shafts by means of electromagnetic fields generated by two electric coils: one which operates the clutch (input-output shafts in direct connection) whilst the other operates the brake (output shaft braking). Such a device allows continuous rotation for the input shaft and the control of output shaft rotation by means of a properly controlled electric circuit. Motor and load decoupling enables the NFF clutch-brake unit to execute the best electromechanical system for load handling, featuring an intermittent duty and a high number of operations with an extremely prompt cycle time.